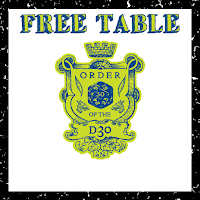 This month's free d30 table is now available for download from DTRPG. This particular d30 table is a rather simple set of critical hit charts, separated into minor and major critical hits with 30 entries each. 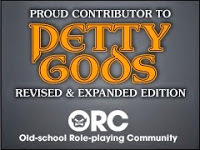 It is not intended to replace a more robust critical hit system that some RPGs use, but it can add a little bit of flavor to simpler systems. I could also see this being used as a called-shot chart as well. My Patrons have had access to this particular d30 table since June. Like usual, if you want to go to the download site for this d30 product click on either graphic in this post, or use this link.